We dared our directors to let their freshly dyed hair down, we baked cakes, flew paper planes, and then blindfolded our staff for the perilous boulevard of dangling doughnuts, all in aid of a fantastic charity! But was it worth it? All the images and video revealed! This October something spooky took over our office in Old Sarum! 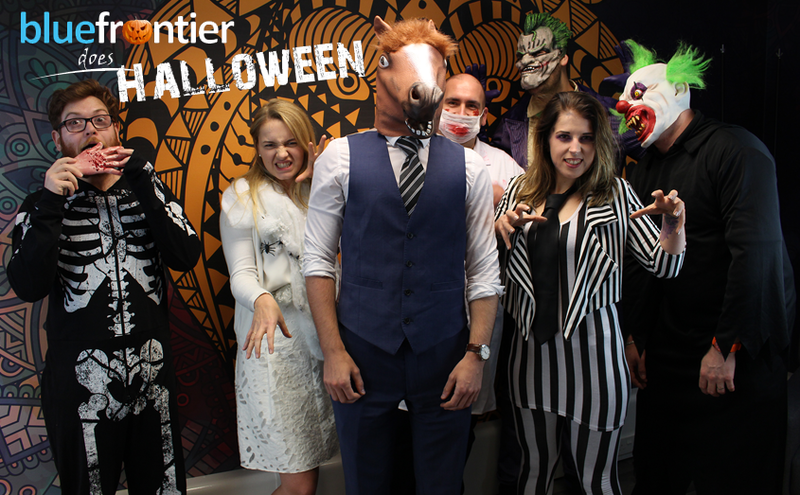 We got dressed up for Halloween and held a fundraising event to help raise some money for the British Heart Foundation. On Friday 9th June, Blue Frontier wore read and held a bake sale to help raise awareness and money to support all of the amazing work The British Heart Foundation does. We seem to have caught the festive bug at Blue Frontier and thought we might as well make the most of our new office space to create some Christmas cheer. The Blue Frontier team looked rather dashing last week when they wore their finest pink garments to raise some money and help support the ongoing fight against Breast Cancer.